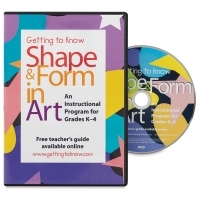 Shape & Form in Art — Colorful animation defines shape and form in art, covering geometric and organic shapes, shape and form in painting, sculpture, and negative and positive shapes. Color in Art — This DVD provides basic information about color, including the colors of the world around us, the use of color in great works of art, and the emotional impact of color. 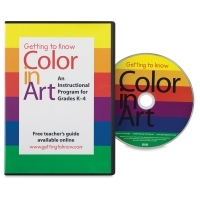 Concepts are also connected to the color wheel. 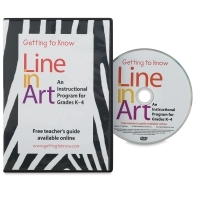 Line in Art — This installment explores the definitions and types of lines, media for creating lines, lines in the world around us, and lines in great works of art. 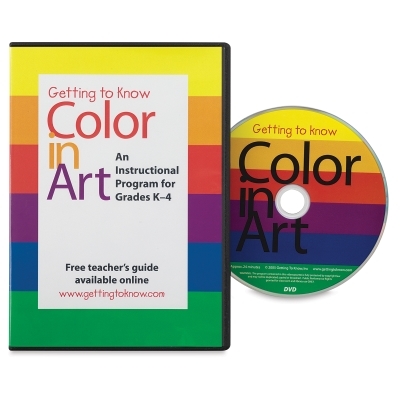 Elements of Art DVDs, Set of 3 — This set contains all 3 Elements of Art DVDs; Color in Art, Line in Art, and Shape & Form in Art.